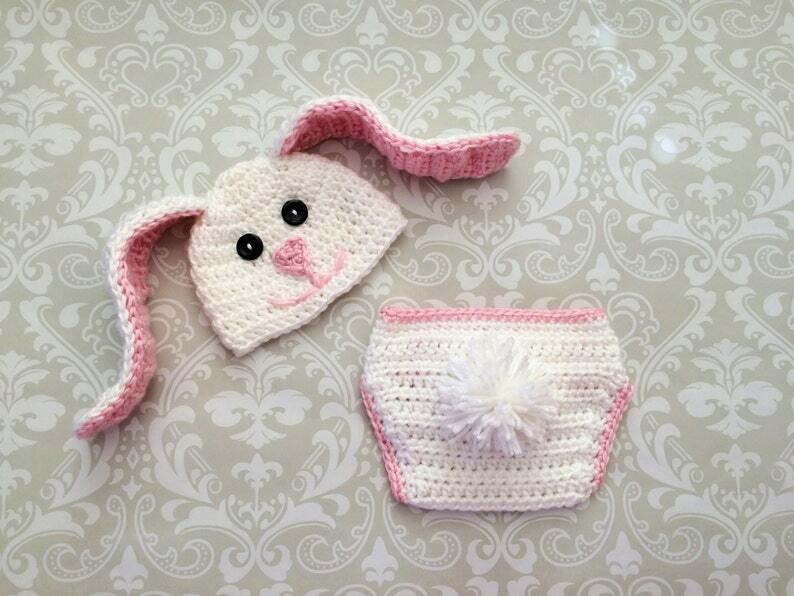 This listing is for a crochet baby beanie and diaper cover set, made to look like a bunny face. The size is for a newborn month sized infant. The beanie and diaper cover were made with Caron Simply Soft yarn (100% Acrylic) in White, Soft Pink and the face is done in Black. The double and half double crochet pattern was done using an H sized hook. 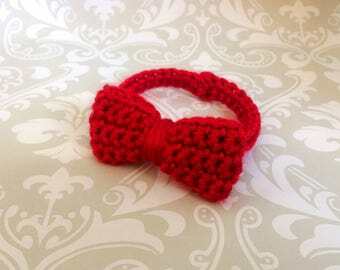 The crochet items in this listing are not currently available but can be ordered today. This item will take 2 weeks to complete. I ship all crochet packages using first class mail. This is a form of slow, ground shipping. First Class packages will take up to 6 Business Days to reach your shipping destination. If you need the item sooner, an upgrade to Priority Mail shipping will be required. Depending on how far you are from Southern California, the upgraded charge will add an additional $7-15, on top of the shipping costs already quoted in the listing. If given the shipping zip code, I can provide a more accurate priority mail shipping price for your specific order. I add insurance on every shipment of orders of $50 or more, and include a tracking confirmation with the package.